As long as humans have been around, so have the pests that plague them. A history of how humans have battled pests throughout the years. People have been developing methods to keep pests away from themselves and significant food sources since at least 2500 BC, when the first documented instances of pest management have been found. In ancient Sumer, doctors developed methods of treating insect bites such as the application of sulfur to soothe irritation. Other cultures like the Greeks and Romans mandated certain times of the year when members of the population were required to go out and capture and kill as many locusts as possible to defend crops. Pest control has also been around as long as agriculture. For many ancient farmers during the BC era, this could be as simple as planting extra seeds to try to accommodate for the amount of food that menaces like birds, beetles, and locusts would eat during any given year. By 1500 BC, they had learned to time the planting of crops to avoid pest reproductive cycles. In 300 BC, records were found of Chinese farmers who had noted when pests were likely to appear and had also adjusted their planting cycles. While a lot of knowledge was lost during the early AD years, humans managed to build upon old pest control methods to develop increasingly intricate methods. 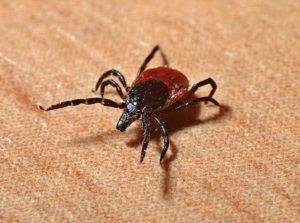 The Chinese introduced mites into ecosystems to handle more damaging pests; this action is one of the first written instances of humans using a predator to handle nuisance creatures. Asian farmers additionally learned by 400 AD that if they applied arsenic around the base and roots of their crops in rice paddies, they could prevent infestations that would damage the supply of the main staple food in the area. When Asia entered the Middle Ages (476-1450 AD), people had learned that they could apply natural concoctions like lemon oil and wormwood to their skin to stop mosquitoes and mites from biting them. Europe did not fare as well as other regions when it came to pest management. It wasn’t until the Renaissance (1300-1700 AD) that efficient pest control methods developed. One of the main reasons for this failure to create treatments was Christianity. Many Europeans believed that pests and disease were a punishment sent from God and therefore refused to find ways to handle nuisances. After the Black Plague decimated 25% of the population during the 14th century, people began to kill rodents in an attempt to stop the spread of disease. By the 1800s, humans were using copper and nicotine on their crops and around their homes to kill pests. The 19th and 20th centuries were the time of the pesticide. Humans began to realize that the use of chemicals was one of the most effective ways to stop pests from eating crops and spreading disease. Inorganic compounds became the popular choice for farmers and gardeners, and the span of the 1940s and 1950s became known as the “pesticide era” because of the plentiful number of products available. The number of pesticides increased by a factor of 50, and scientists began to bring them to developing countries to try solve pest problems like locusts and mosquitoes. Many of these products contained DDT, a tasteless, colorless, and odorless chlorine-based pesticide. This product had been used extensively during WWII and trips to other nations to kill disease-carrying mosquitoes and continued to be people’s first choice against pests. The World Health Organization additionally used DDT to curb malaria around the world, targeting areas in Asia where it was rampant. 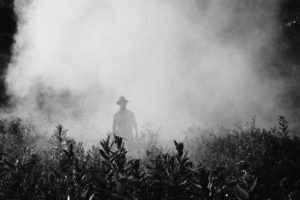 Unfortunately, it was soon discovered in the 1960s that DDT was highly toxic and caused numerous ecological problems, including birth defects, the sterility of animals, and death. Many countries around the world started to ban its use, including Singapore in 1984. Following the age of pesticides came the era of Integrated Pest Management (IPM). 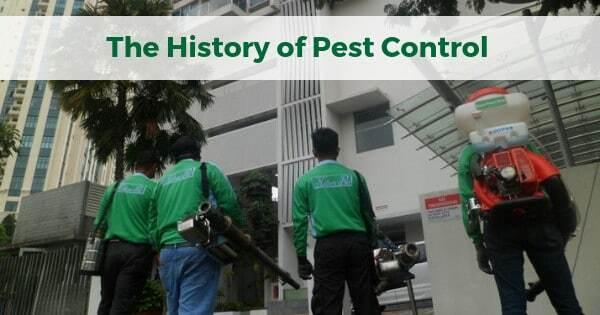 This practice combined numerous approaches to pest control to stop infestations before they started and develop healthy living environments. IPM encourages people to maintain clean buildings and seal away food and other resources that can attract pests. It advocates the use of pesticides and other harsh measures only as needed and focuses on controlling pest populations so humans no longer have to worry about the negative effects of pesticides and their toxic compounds.